This book of approximately forty pages contains seven fairy tales translated from Russian. For that reason, the language is a bit awkward in a few spots but does not seriously inhibit the story. A few of the tales center around little boys. 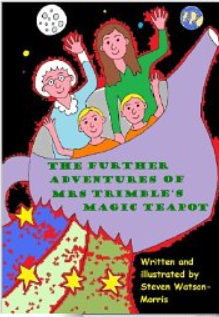 Willie is a little boy who gives an eccentric old man directions and is rewarded with three wishes. The boy meets up with his friends and uses his wishes foolishly and learns a lesson the hard way. Another tale involves a young boy named Brian who is thought to be a simpleton but later undergoes an experience that turns the tables for him. On the other hand, Tom is a boastful boy intent on bullying the other children and forcing them to comply with his demands. One day his mom and a dog named Pluto prove to be his undoing. 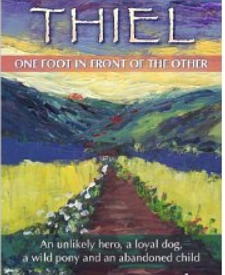 A boy and a wicked dog named Molly have a series of adventures that lead to bold actions by another little boy. Sam, a very superstitious little boy misses out on a lot of fun until a little girl named Kate teaches him how superstition is ruining his life. A lazy boy named Lukas spends his summer days watching TV, lying in bed and eating through a tube because he is too lazy to get up. He will have to learn the hard way that being lazy just leads to unhappiness. I think my favorite story is the one about the big trains and the little trains. In this tale, the large trains believe that might makes right and the spend their time quarreling with the little trains over who is more important until both parties realize they are both necessary. Unlike most fairy tales, many of the characters in this collection are boys and the setting is often in a large city. 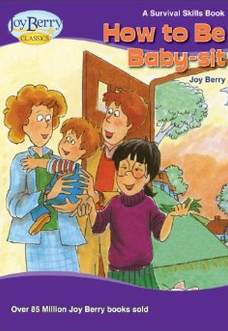 All of these stories teach life lessons for children, and maybe for some adults! They are charming if nontraditional. 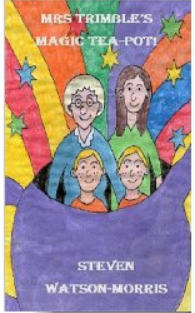 There are a few illustrations which add to the appeal, but unfortunately they are a bit small on the kindle version. These short stories make up small chapters so the book is useful as a beginning reader. 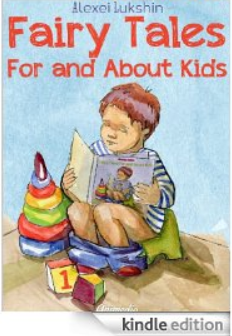 Parents could use the chapters as bedtime stories; teachers might approach them as short read alouds. Refreshing and different selection for anyone who enjoys fairy tales. Recommended for children age seven and older. This book is a must have addition to the shelves of libraries and school classrooms. It provides an excellent springboard for discussion to explore differences among children that are frequently labeled disabilities but can in reality be strengths. Many children, especially those in the middle grades, seeking to belong to the most popular peer group seize being different as an opportunity to tease and bully. Mrs. Quince and her class sitting “behind the yellow door” are a class of superheroes. The story begins with a boy named Nate who is speaking to his dad who happens to be physically disabled. Nate tells his dad that the children at school have been implying that his dad is feeble and weak in body and mind because he is in a wheelchair. Dad relates the story of a boy named Marcus who became disabled as a child riding his bicycle, his initial fears, and inability to cope. 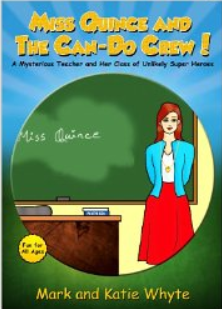 Then he introduces Mrs. Quince, his new teacher, and the class of superheroes. This teacher forces Marcus to focus on what he can do, rather than what he cannot accomplish. Over a period of time, Marcus realizes he has the power to succeed on his own. In fact, he proves to he a hero when the class takes an excursion one day. Then he slowly discovers the unique power each of his classmates possess. Every child whether blind, deaf, physically or genetically disabled contributes to the well being of the class and the community. The authors and their family have various types of disabilities or professional skills and training to work with this population. As a former special educator, I can appreciate the feelings of those emotionally or physically disabled as well as the dedicated professionals who work with them. The lesson of this book is a message that needs to be shared with those in the community who must learn to understand not bully this valued sector of the community. This book is well written with large, colorful illustrations. Highly recommended for children and adults age eight and older. This work of historical fiction which stretches nearly two hundred pages is a fascinating study of white and black characters struggling with each other not in the North and South but in the new western territories caught in the battle between slave and free. 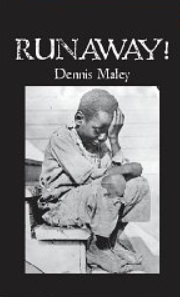 Maley’s protagonist is a fourteen year old black boy named Blanche Bruce who begins life as a slave in Virginia, but later struggles to assert his independence in Missouri after his current master’s death. Here he is owned by a printer who relies on him to set type for his newspaper. Bruce had secretly learned to read and write as a young boy. The author admits that Blanche is a composite character, but his thoughts and actions are very believable as the intricate plot unfolds. Bruce will take a journey along the Underground Railroad, while he is pursued by the pro-slavery forces he left behind in Missouri. They consist of an unlikely alliance of preachers, lawmen, politicians and citizens. Butler reveals himself as a clever young man struggling to differentiate between exactly who are his friends and enemies. The pro-slavers found opposition in the abolitionists and free soil settlers who hoped to make the new territories a land of new opportunity. 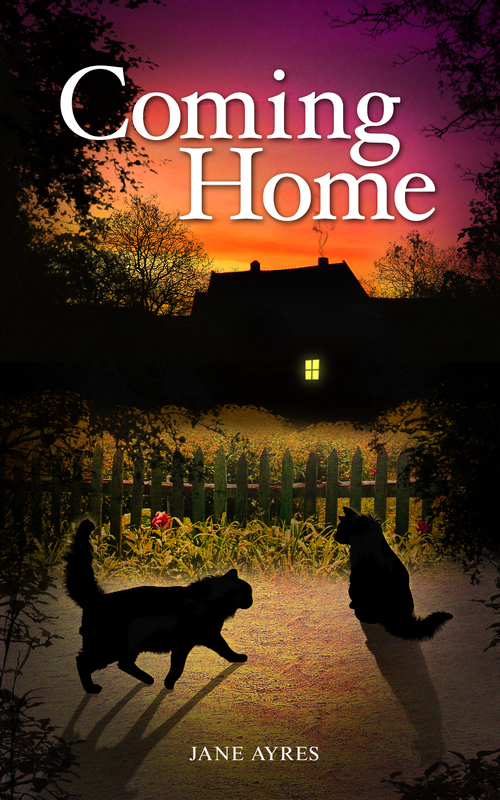 There are lots of twists and turns in the plot as Blanche struggles to find a safe haven. At the end of the tale, which has a surprise ending, the author provides an epilogue illuminating what facts are real and which are fiction. This section is instrumental in understanding the plot; the reader might wish she had it earlier as sometimes the story line becomes complicated to follow. I still recommend the book as an interesting one appropriate for adults and children age twelve and older. It presents a good psychological study of the pre-civil war era that is a lot less widely known and understood. Students of mid-nineteenth history can use it as a vehicle for examining the personal, moral and political conflict occurring in America’s new territories at that time. If you enjoyed reading this post, please subscribe by clicking on the word Follow or by clicking on the RSS feed button in the upper right hand corner of the page.